Sony Ericsson recently launched a new line of mobile handsets but the one that truly catches the eye is Xperia Play. It is the first PlayStation-certified mobile phone to hit the market and the company has great expectations regarding the product. At first, it looks like any other smartphone currently available in the market. The device features a 4-inch capacitive multi-touch screen, 512 MB of RAM and is powered by Android 2.3 Gingerbread OS. But the actual difference lies in the gaming interface. Unlike its counterparts, Xperia Play has slide out-style gaming controls. On the control deck, you will find two touch sensitive touchpads in the middle; on both sides, you have the traditional PlayStation-like control and direction buttons, and finally, shoulder buttons. The mobile is powered by Qualcomm's 1GHz Snapdragon graphic processor, which promises to give you a hands-on gaming experience. There are more than 40 titles to choose from and games like Fifa10, Bruce Lee, Star Battalion HD and Sims 3 are preloaded in the device. Assassin's Creed - Altair's Chronicles HD, Need for Speed and Tom Clancy's Splinter Cell will be introduced for the Xperia Play. In addition, Xperia Play has a 5.1 mega pixel camera with an in-built flash, which is actually disappointing when 8 mega pixel mobiles are standard these days. There is another drawback â€“ it does not have HD video-recording facilities. The in-built memory is 400 MB that can be extended up to 32 GB. The mobile's interface is an amalgamation of Android and Sony Ericsson, and has a nice feel to it. It has the usual Android widgets and Sony Ericsson TimeScape. Moreover, look out for the stereo speakers as the manufacturer promises a great multimedia experience. Another major problem is that, with a height of 4.7 inches and weighing 175 gms, this device is a bulky one that may not fit everyone's pocket. Also, the battery backup for gaming is just five-and-a-half hours, which means it will require charging more than once a day. The initial price was Rs 35,000, but within a week of its launch, it is available for Rs 5,000 less on online shopping sites like HomeShop18.com, for Rs 4500 less on Flipkart.com and Rs 4300 less on Infibeam.com so you might want to buy it online. 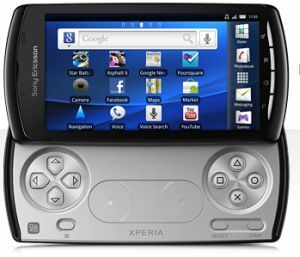 Final verdict â€“ give the Xperia Play a miss and buy a PSP instead, at one fourth of its price.